Home Unlabelled Will the private space race reinvigorate the supply chain? 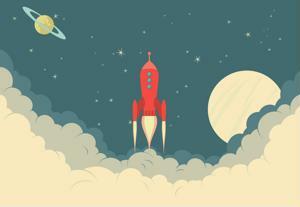 Will the private space race reinvigorate the supply chain? If "Star Trek" is correct in assuming that space is the final frontier that humans have left to explore, then we've certainly got a long way to go. Before we can make the five-year journey in and out of warp drive, careening our way through galaxies far, far and away, we first need to get back into space. The NASA space program was defunded a few years ago and has not sent any manned expeditions into space since then. While this was disappointing for aspiring astronauts across America, it opened up a new door for privatized space expeditions. These private space programs, popularly headed up by Internet billionaires such as Elon Musk and Jeff Bezos, have given different opportunities to all areas of industry. The new plans have the potential to breathe new life into the supply chain that has not quite been explored before. The race to send the first manned mission to Mars is well underway. Musk has already broken ground on the SpaceX launch pad, while Bezos​' hydrogen rocket engine has completed myriad tests and could be ready for a real flight by the end of this year, reported Manufacturing.net. Unsurprisingly, the big issue with all space programs is the funding. These two gentlemen, however, seem to have no shortage of funds and they've even acquired specific backing and incentives from some states in the country. As with any program of the magnitude, both men have a massive vision that extends well past the atmosphere of Earth. The astronomical budgets that the projects require are not simply being shot off into space, but infused into the economy and the supply chain at large. There is something very fascinating about this 21st-century space race. During the initial race to the moon in the 1950s and '60s, it was countries that were competing against each other. Now, it's entrepreneurs trying to get to Mars in a market where manufacturers and suppliers can demand a price for their goods. This is truly a market for the supply chain. When engineers and builders demand the highest quality materials for spaceships that will eventually lead to interplanetary travel, the final word belongs to the companies providing said products. With this, the space travel supply chain will truly take on a new life. Musk has gone on record to proclaim he would like his company to complete 12 launches a year, and he will need numerous parts to make this goal possible. Now that NASA is no longer sending people into space, the suppliers of spaceship materials have business again. Even if these new programs aren't immediately successful, this the space race will still have untold benefits for the supply chain as a whole. While it's true that space exploration is not completely out of the picture for various governments, private-sector contracts have the potential to be more lucrative for procurement management services. More money into these companies means more money into the economy, making the mere attempt at space travel a win-win situation. Ideally, Musk and Bezos' ventures into interplanetary exploration will be successful, which would open the door to the production of spaceships on a much larger scale. Our hopes for the success of these programs, and the associated supply chain, are astronomically high. Perhaps reaching for the stars won't just be wishful thinking after​ all.